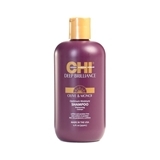 Shampoo for damaged hair Shampoo gently cleanses hair with hydrating blend of Olive Oil & Monoi Oil, providing optimum moisture while leaving hair soft, silky and manageable. All the benefits of Uniq One with a coconut fragrance. Uniq One Conditioning Shampoo is the first cleansing balm with 10 benefits that both cleans and conditions hair without damaging it. 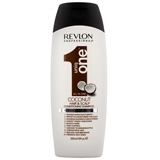 The texture of this amazing product is completely different to conventional shampoos. 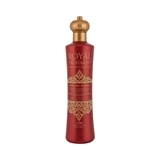 It hydrates the scalp and works to protect the hair. This does not affect the scalps natural layer of protection, while also respecting the pH of the skin. Leaving the hair clean, conditioned and well cared for, this is a fantastic product for any hair type. Cleanses, protects and nourishes your hair. 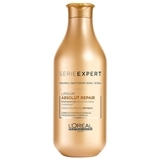 Its unique formula enriched with Fig extract vitalizes the hair structure and prevents breakage. Thanks to the high concentration of Vitamins, Antioxidants and Minerals in the Fig extract, hair becomes healthier, stronger and more resistant.